The high inrush current and mechanical jerks are the two main problems associated with the Induction Motor since the invention. The different reduced voltage starting methods like start/delta, Auto transformer and switched rotor resistance were used but never solved the issues satisfactorily. 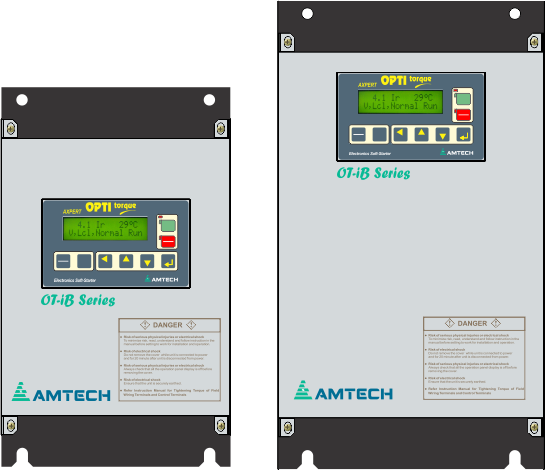 For the last 30 years, Amtech is providing the solid state soft starters, the answer to the inrush currents and associated mechanical jerks. The Axpert-Opti torque series are the high performance electronic soft starters with modern digital signal processor based highly functional and intelligent which are easy to use and offer wide range of protections. The Axpert-Opti torque-eB (external bypass) series is the new addition to the Electronics Soft starter family with new functionality and increased reliability for motor starting applications.